% of adults who ride once a week - Pygott & Crone - Houses. Homes. Harmony. House price growth is strongest in areas where people exceed regional cycling participation levels. Bike Smart is the key message of Road Safety Week this week. Across England and Wales close to 5.5 million adults cycle at least once a week, cycling over 3.3 billion miles on Britain’s roads in 2017. Over three quarters of a million people cycle their daily commute. 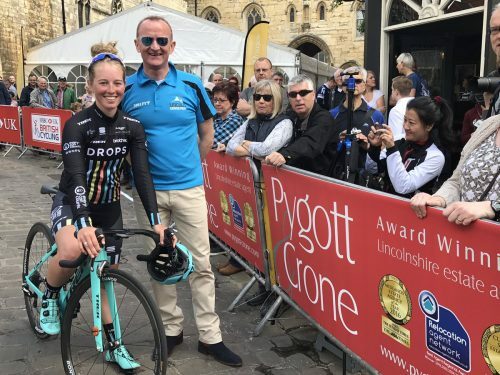 But is there any link between house prices and cycling? House price growth is strongest in areas where people exceed regional cycling participation levels. Across England (excluding London), annual house price growth was 3.9% in locations where adults cycled more than their regional average, compared to 3.0% in areas where participation levels fell below their regional average. 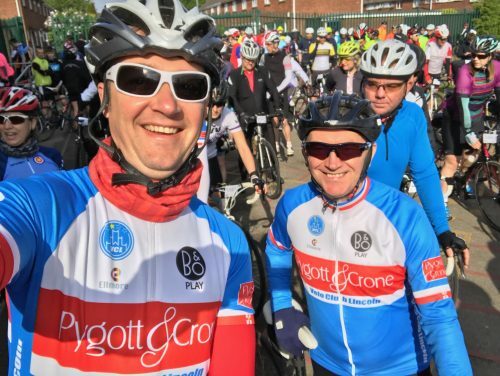 With participation rates increasing, Sustrans, a charity, aims to add 5,000 more miles of traffic-free cycleway to its network of 15,575 miles by 2040, with the government pledging £1.2 billion to increase cycling and walking. If you are curious how much your house might be worth, check out house prices in your area by entering your postcode here. Alternatively if you are thinking of moving you can find out more about our award winning service by visiting www.pygott-crone.com. 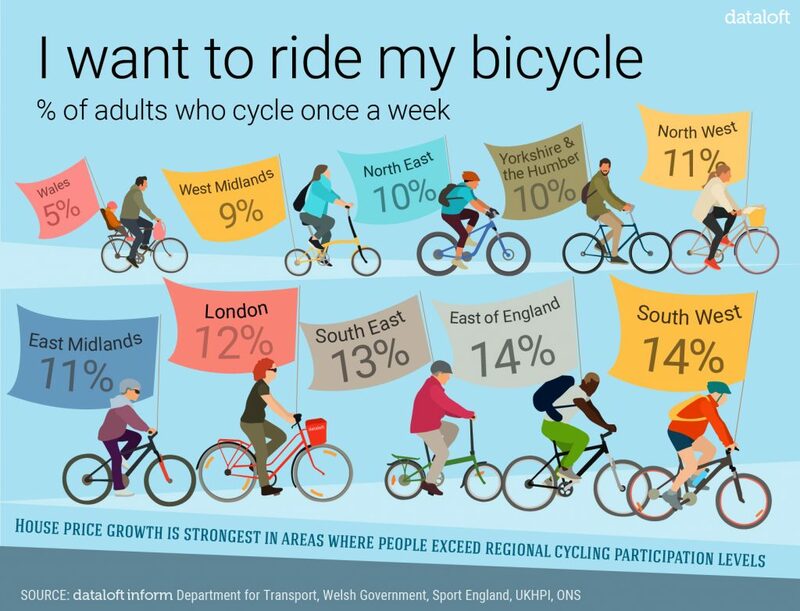 Source:- Dataloft, Department for Transport, Sport England, Welsh Government, UKHPI, ONS.